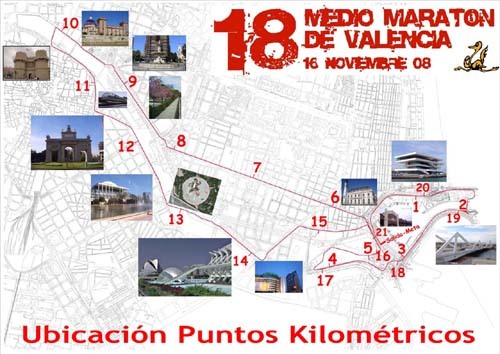 This Sunday, be careful during your morning stroll in the Turia riverbed, or you might get knocked over by skinny, scantily-clad joggers participating in the 18th annual half marathon of Valencia. The marathon starts from and finishes at Tinglado No. 4 (location) — which observant sports fans might remember as the starting point of the Formula 1 race. The track runs along the F1 road through El Grao, before splitting off at the Turia riverbed. It’s a little over 21 kilometers, all said. There’s just under €10,000 in prize money available for the victors. If you’d like to watch the event, make sure to wake up early — the race starts promptly at 9am.